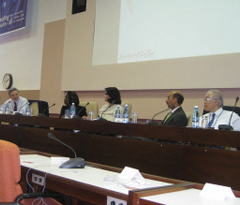 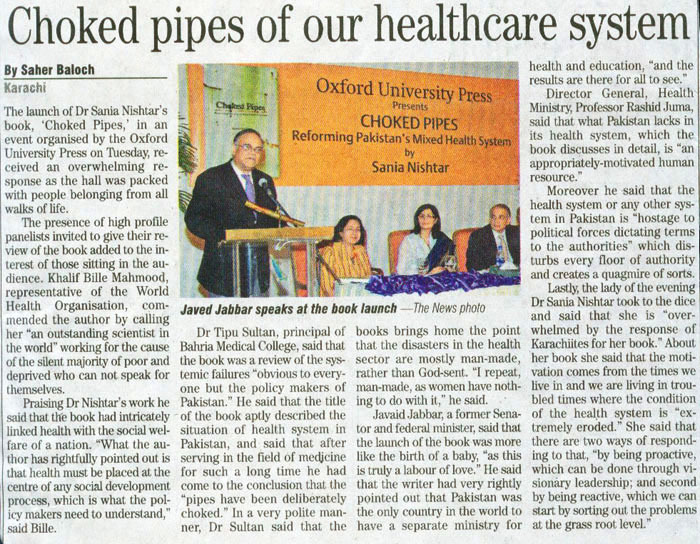 ‘This book represents a watershed in framing developing country health reform as a step towards realizing the right to health’. 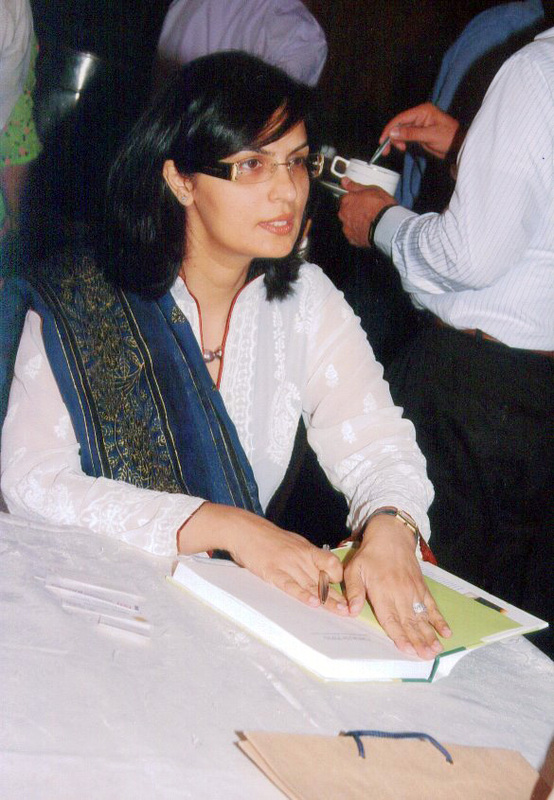 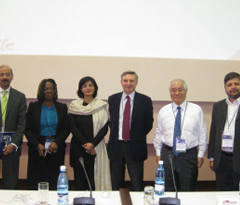 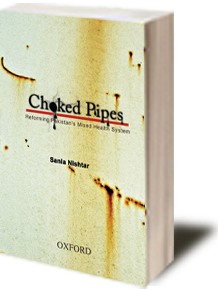 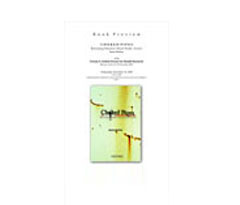 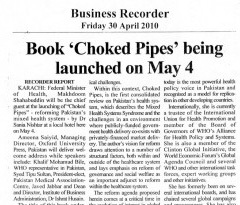 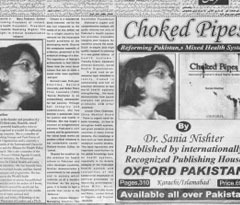 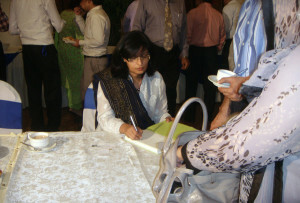 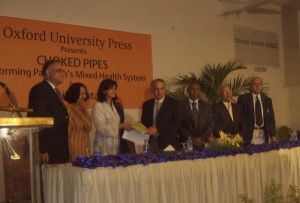 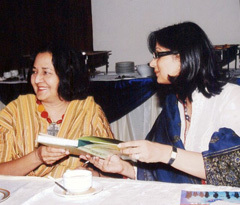 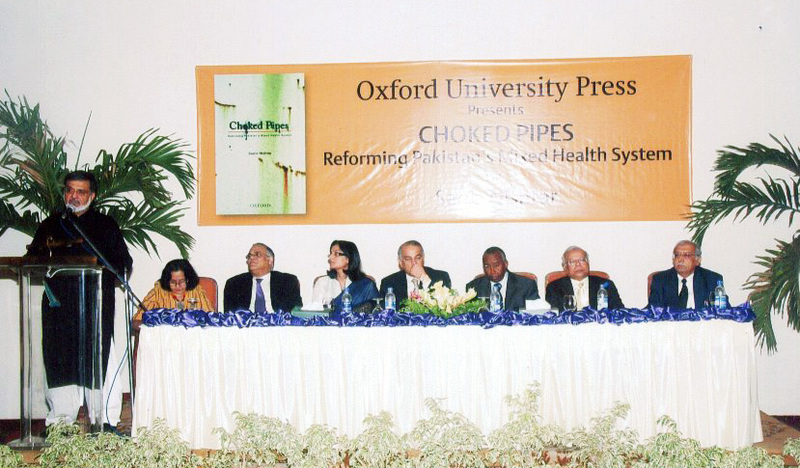 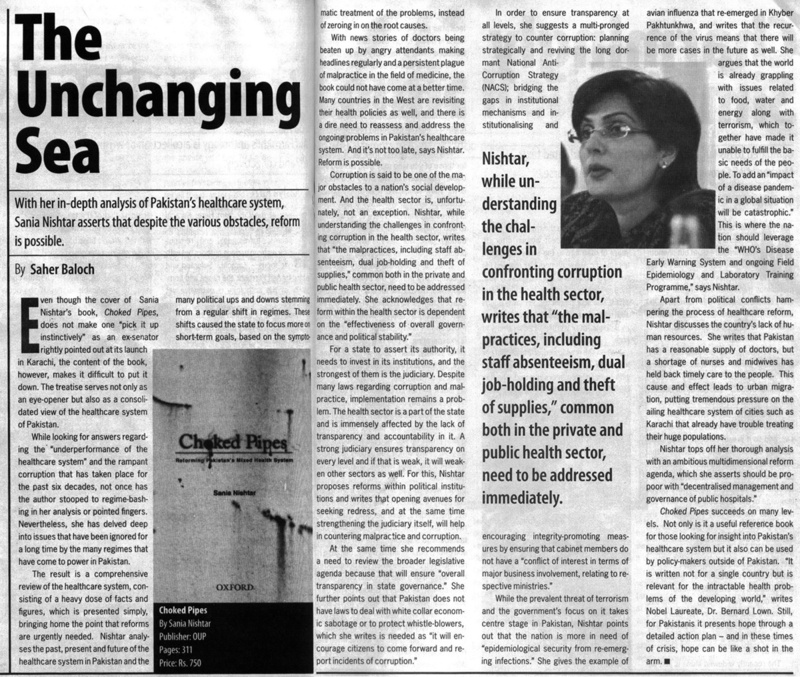 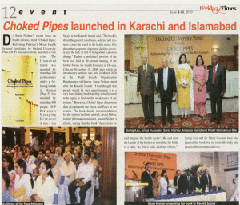 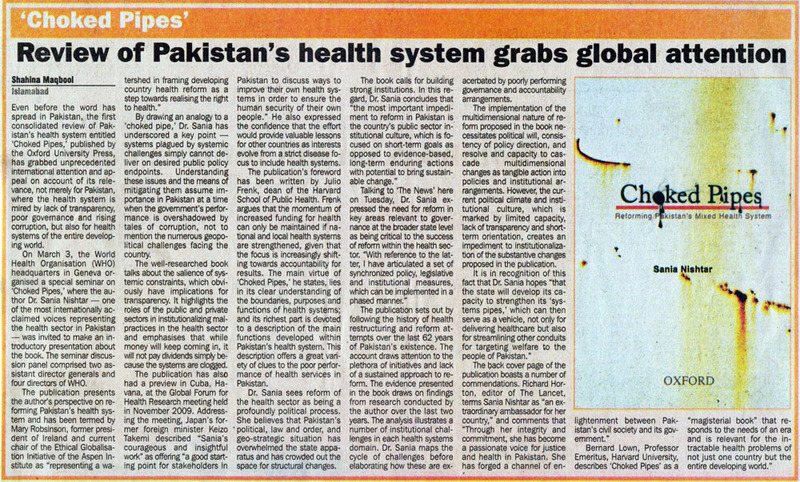 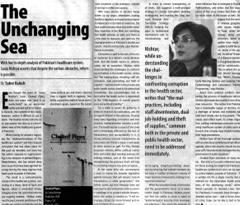 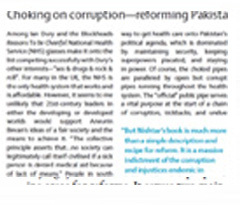 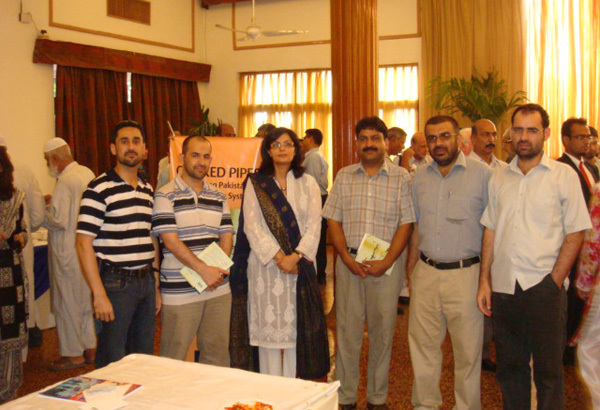 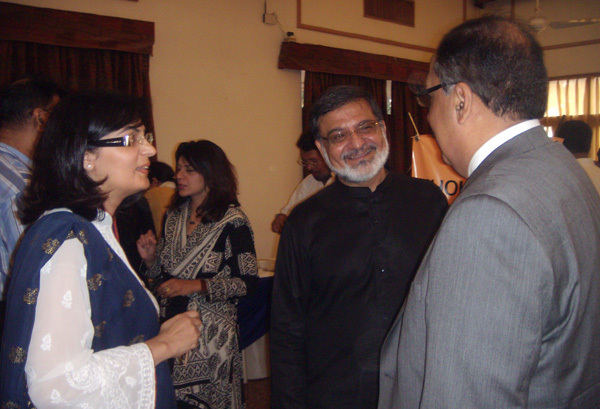 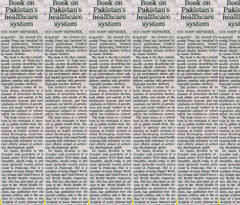 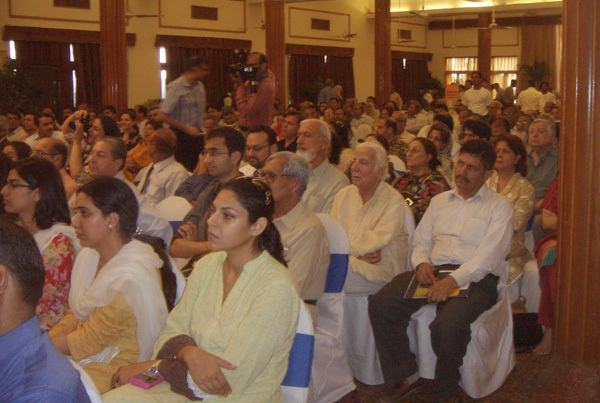 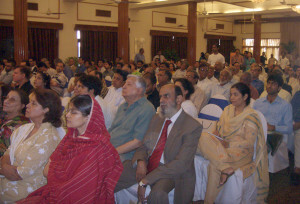 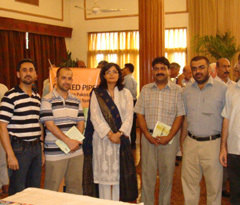 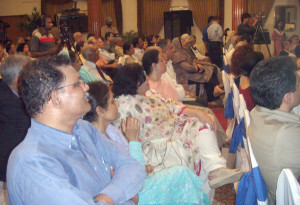 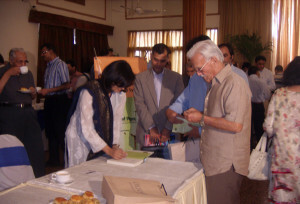 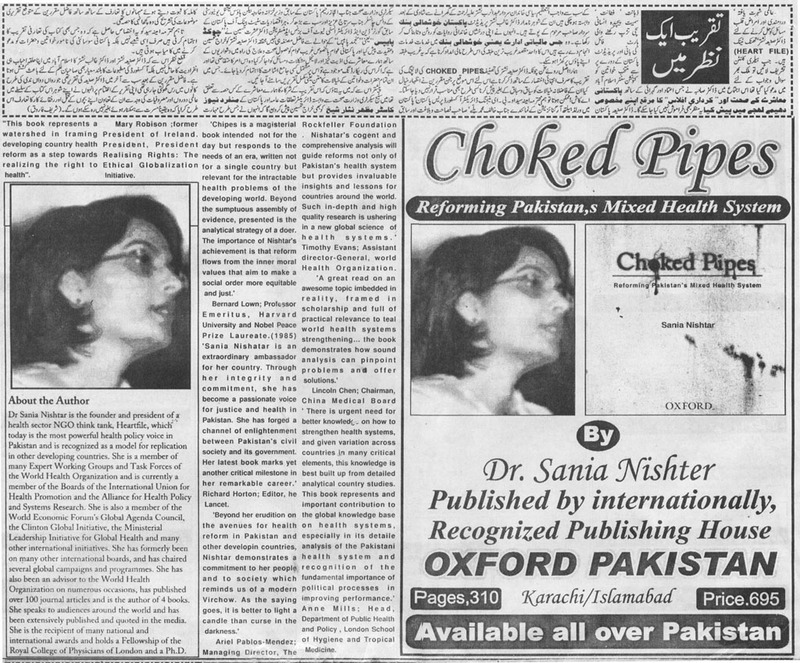 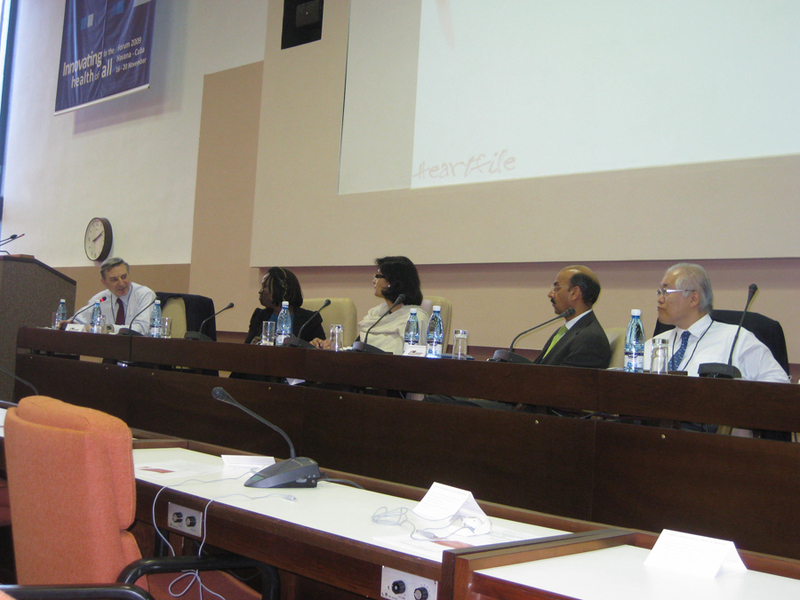 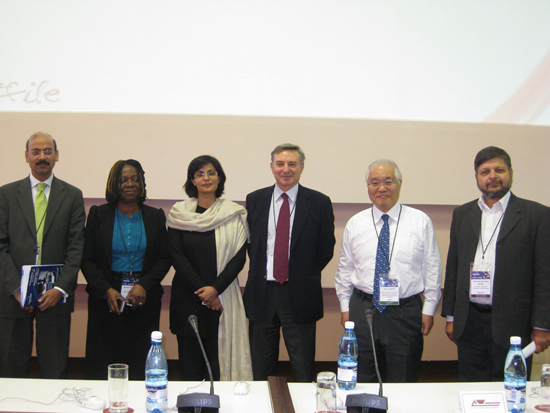 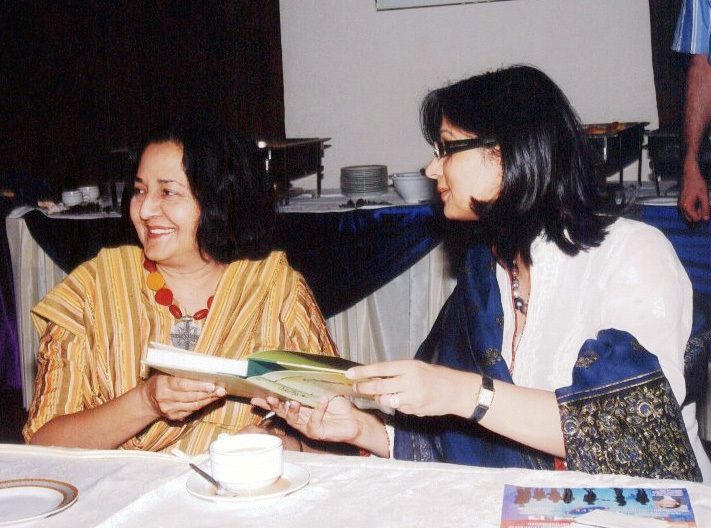 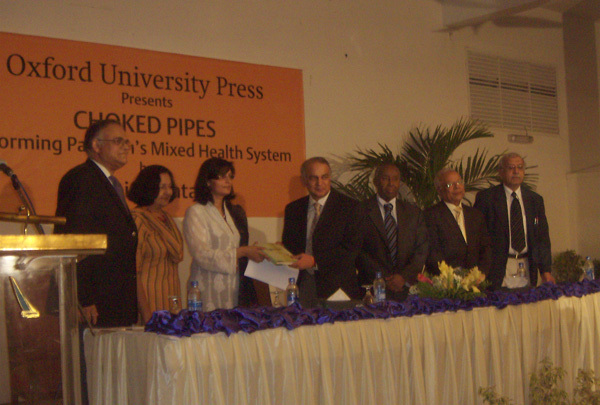 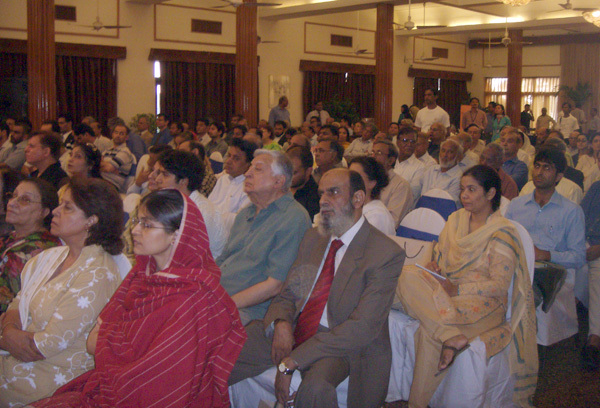 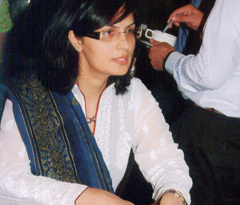 Choked Pipes was launched by the Oxford University Press on May 04 in Beach Luxary Hotel, Karachi. 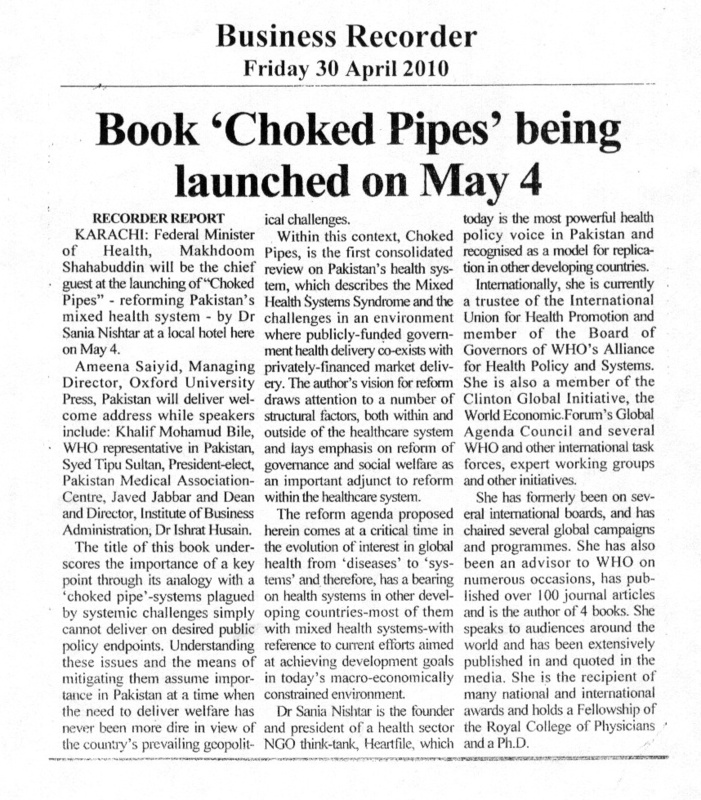 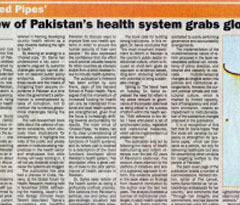 Launching of ‘Choked Pipes’ in Islamabad – Part 07-07 from Heartfile on Vimeo. Launching of ‘Choked Pipes’ in Islamabad – Part 06/07 from Heartfile on Vimeo. 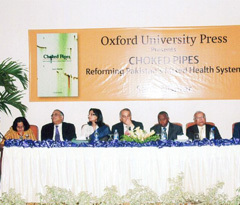 Launching of ‘Choked Pipes’ in Islamabad – Part 05/07 from Heartfile on Vimeo. 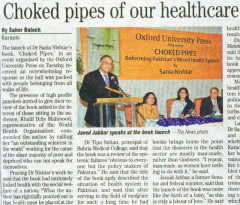 Launching of ‘Choked Pipes’ in Islamabad – Part 04/07 from Heartfile on Vimeo. 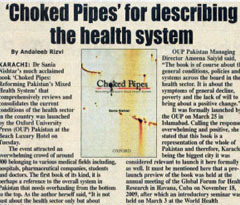 Launching of ‘Choked Pipes’ in Islamabad – Part 03-07 from Heartfile on Vimeo. 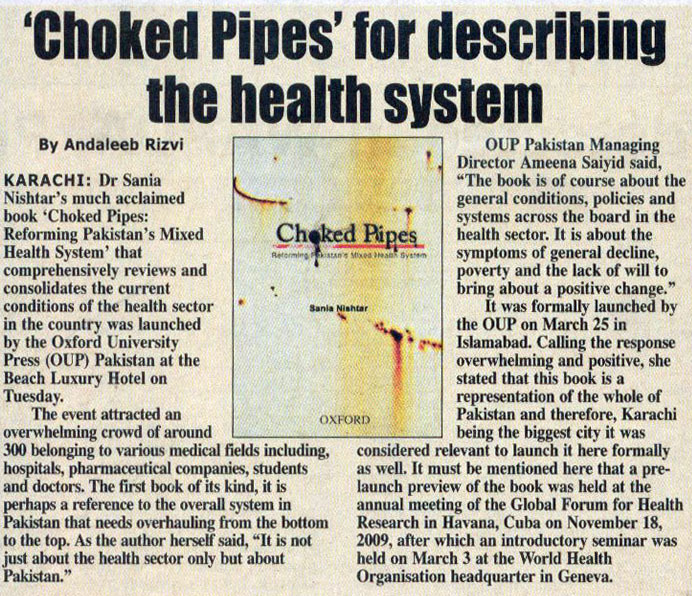 Launching of ‘Choked Pipes’ in Islamabad – Part 02/07 from Heartfile on Vimeo. 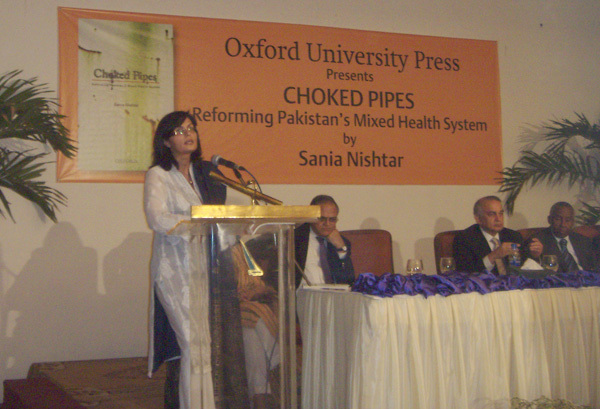 Launching of ‘Choked Pipes’ in Islamabad – Part 01/07 from Heartfile on Vimeo. 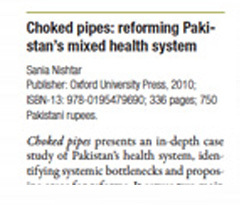 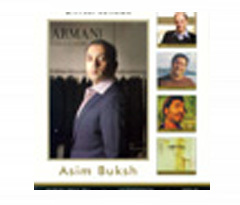 Choked Pipes featured in Kamran Khan show, a highly popular prime time programme.